Ravi Ravindran graduated with a honours degree in Agricultural Science from University of Sri Lanka and subsequently Master of Science and PhD degrees in Animal Nutrition from Virginia Tech University, USA.He has held academic and research positions in Sri Lanka, Canada, USA and Australia, prior to moving to New Zealand in 1998. He has had a distinguished international career in nutritional science, having published in excess of 400 scientific works, including three books and over 30 book chapters. Dr. Ravindran has been awarded numerous research grants from national and international sources for his research and has received a number of awards. His scientific expertise has been recognized by over 1000 citations of his publications and, by invitations to consult by industry, government and international agencies and to serve in the Editorial Boards of a number of international journals, including British Journal of Nutrition, Animal, Animal Production Science, Poultry Science, Animal Feed Science and Technology and Journal of Animal Science.He is a member of the UN/FAO Expert Committee on new feed resources in animal nutrition. Professor Ravindran is an acknowledged world leader in the areas of measurement of amino acid availability in poultry and feed enzymes, particularly microbial phytases. His work has addressed various aspects of feed evaluation, gut flora management, early nutrition and, digestion and metabolism of amino acids and minerals in poultry. In 2011, Professor Ravindran was awarded the 'American Feed Industry Association Poultry Nutrition Research Award' for his distinctive work demonstrating sound research in poultry nutrition in the last 10 years. 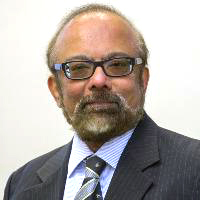 According to the 2011 analysis by the Council of Canadian Academies, Ravindran is acknowledged as being an author of one of the top 1% most highly cited papers in Poultry Science. In 2012, he was awarded the prestigious JM Bell Lecturership, which acknowledges his international prominence in poultry nutrition, at the Canadian Western Nutrition Conference.